It's Facebook Fridays! for November 6, 2015. 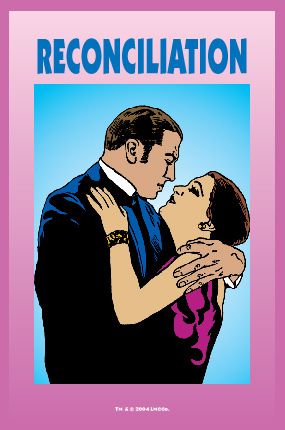 Start now to reconnect with your lost love in time for the holidays! 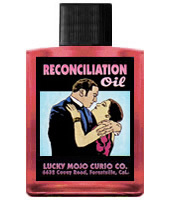 The Lucky Mojo Curio Company is giving away 10 harmonious Reconciliation spiritual supply prizes. This week the prizes are 2 blessed and dressed Reconciliation Vigil Candles, 2 bottles of hand-made Lucky Mojo brand Reconciliation Dressing Oil, 3 packets of Reconciliation Sachet Powders, and 3 packets of Reconciliation Bath Crystals. First thing tomorrow morning, we will select TEN winners at random, announce their names here, and ask them to message this Facebook Page with their mailing addresses, so we can send them their FREE Reconciliation products. We have a winner! In fact, we have 10 lucky winners! Our Facebook Fridays! winners for November 6, 2015 are: Stephanie Mojica, Audrey Moon, Kathryn Johnson, Monique Macaulay, April Leavens, Aidan Morris O'Brian, Robert Ponder, NKenneth Kemnebi Runnels Jr., Brenda Marchetti, and Jessica Shannon-Williams.